It's 2017! The traditional white wedding gown seems a little boring when there are so many colours, lengths, and silhouettes out there to choose from. The wedding dress industry has seriously stepped up its game and brides-to-be should take advantage of the amazing choice of unique and unconventional wedding dresses out there. The one thing these gowns don't sacrifice is that wow factor every woman hopes for when she walks down the aisle. We've found the best wedding looks that buck tradition and celebrate the personal style of the bride. Surprise your guests with a bright colour, bold print, rich textures, or a laid-back dress. 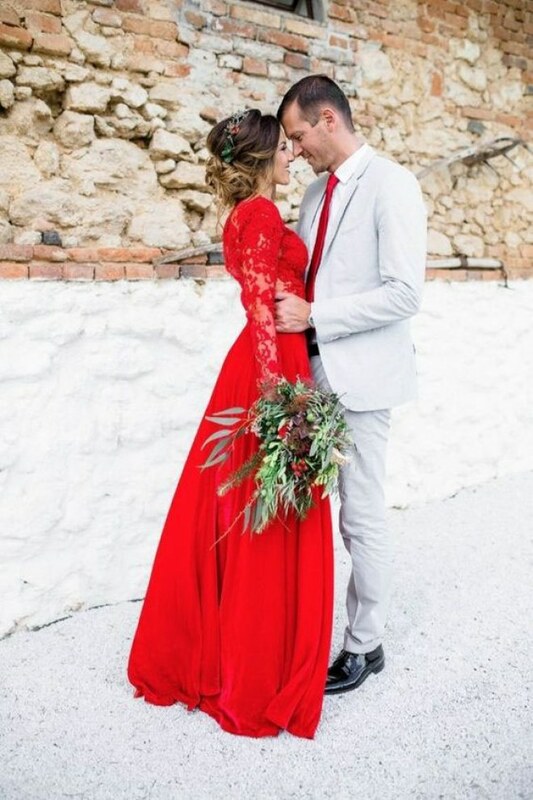 So come and get inspired by these unique and unconventional wedding dresses ladies. It's your wedding after all, why not make it reflect the real you!